Roberta Buffett Elliott, pictured with David Elliott, is a 1954 graduate of Northwestern University. EVANSTON, Ill. (WLS) -- Warren Buffet's sister has donated $100 million to Northwestern University. Roberta Buffett Elliott is a 1954 graduate of the university. According to Northwestern, this is the largest single gift in the school's history. 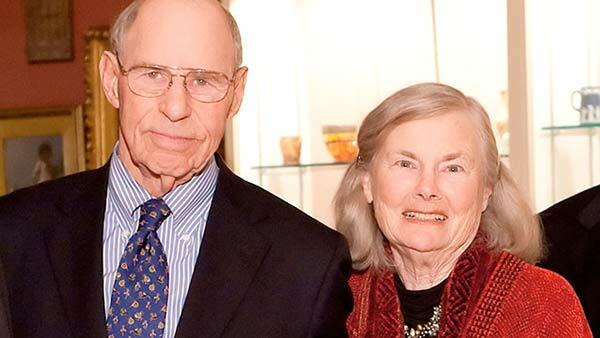 The money will be used to create the Roberta Buffett Institute for Global Studies. President Morton Schapiro says it will "fundamentally transform" the university's global programming.